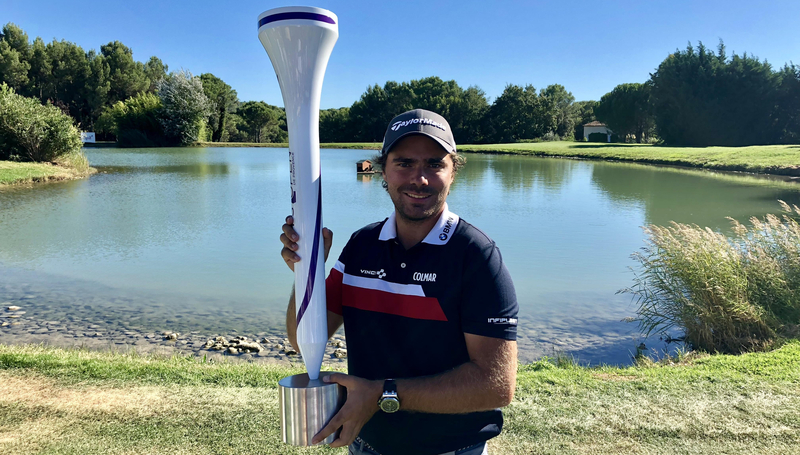 France’s Romain Langasque sealed his spot in the season-ending Ras Al Khaimah Challenge Tour grand final after securing his maiden European Challenge Tour title on home soil at the Hopps Open de Provence. The 23-year-old started the final round two shots adrift of fellow countryman Victor Perez and fell further behind after dropping a shot at the first. But Langasque started his surge for title when he picked up successive shots on the fourth and fifth before taking the outright lead with nine holes to play thanks to birdies on the par four seventh and ninth. Two birdies, seven pars and one bogey followed on the back nine and despite a late challenge from Joel Girrbach, who would have taken the tournament to a play-off had he birdied the last, Langasque secured the title at Golf International de Pont Royal to become the first French winner on tour this season. The Ras Al Khaimah Challenge Tour grand final is now only five weeks away and the top 45 players on the Road to Ras Al Khaimah rankings will go head-to-head at Al Hamra Golf Club from Wednesday, October 31, to Saturday, November 3 in a bid to secure one of the 15 coveted European Tour cards available for next season. After Tom Lewis won the European Tour’s Portugal Masters last weekend, he automatically graduates to the main tour which opens up an opportunity for another player to book their place in the top 15. With the win, Langasque makes significant strides from 55th to 17th in the rankings and is only two spots away from securing European Tour status for next season. “I’m so happy,” said Langasque after his triumph. “The last few months have been tough for me as I haven’t been playing well, but recently I’ve changed my coach and a few other things. “I knew my game was in good shape this week and my putting made the big difference today. I was really focused, and I made a lot of putts between one and three metres and that was the key to taking my chance and winning. “I tried not to focus on the score. I tried to stay positive all the time and took it shot-by-shot and continued to do my job. I had everything to win today and nothing to lose. On the 18th I just went for it with my approach, and then my putt was straight in the middle of the hole. Meanwhile, Switzerland’s Girrbach and Sweden’s Joel Sjoholm both picked up 18,000 points after sharing second place, three shots behind Langasque. Girrbach was in contention heading into the last but a double bogey killed his chances and left him to sign for a round of 71 which moves him from 39th to 20th in the rankings and seals his spot at Al Hamra Golf Club for season finale. Sjoholm gets a much needed boost in the rankings as he moves from 104th to 57th and one step closer to the top 45 which would gain him a spot in the grand final. The Challenge Tour now travels to County Monaghan, Ireland, for the Monaghan Irish Challenge, which will be the 25th event on the Road to Ras Al Khaimah. 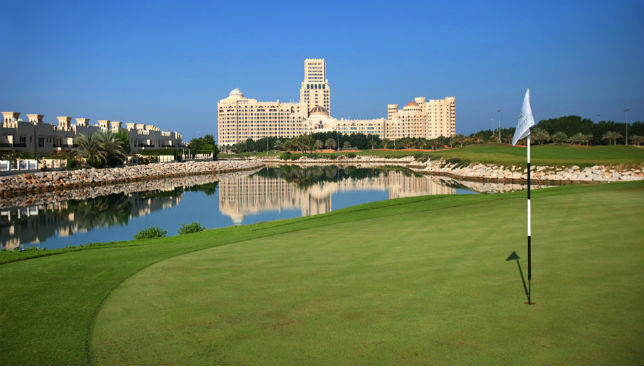 With only three tournaments remaining and significant moves made in the rankings by the likes of Langasque and Girrbach, the competition is set to turn red-hot down the home-stretch with a captivating finish on the cards at Al Hamra Golf Club. Woods appears more likely to play alongside the steadier Bryson DeChambeau but Mickelson was nevertheless asked about whether he would be prepared to give it another go. Asked why this time around what would be different should Jim Furyk make the bold decision, Mickelson was at pains to stress he did not want to re-open old wounds on the problems of the past. Phil Mickelson sits down for his press conference and immediately starts ad-libbing on local flavor. He has three victories in that time but has not won away from home. In fact the United States team have not won a Ryder Cup in Europe since 1993. “You would think that you would get kind of desensitised to it but I have come to love and cherish being a part of these weeks even more,” he said. Fleetwood and Guardiola during the Pro-Am for the BMW PGA Championship at Wentworth. Ryder Cup rookie Tommy Fleetwood will be spurred on to success by a surprising supporter this weekend – Manchester City boss Pep Guardiola. Fleetwood, the reigning Race to Dubai champion, was on a Cheshire golf course with the City boss in April when Guardiola’s side were crowned Premier League champions following Manchester United’s defeat by West Brom. Fleetwood, 27, was introduced to Guardiola through a mutual friend, and the pair have since struck up a friendship. 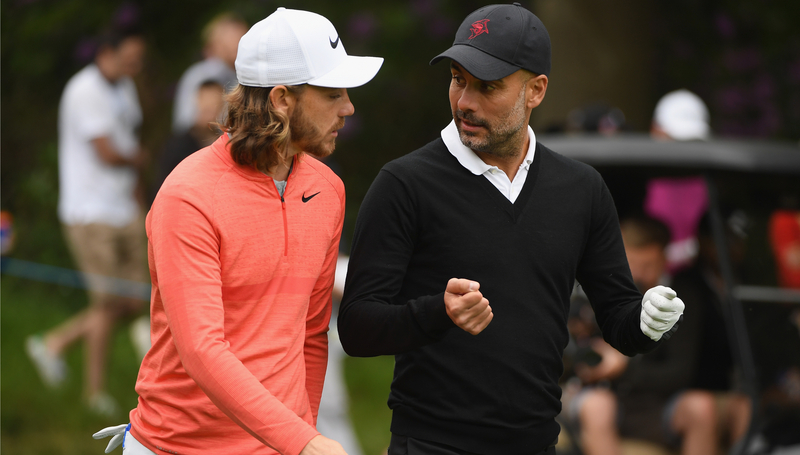 They were partners at Wentworth for the celebrity Pro-Am event ahead of the BMW PGA Championship in May, and Guardiola has shown his support for Fleetwood ahead of this week’s showdown with the United States at Le Golf National. “We all have these videos in the room, these motivational videos, and he was one of the guys that sent a message to me,” Fleetwood told reporters on Tuesday. 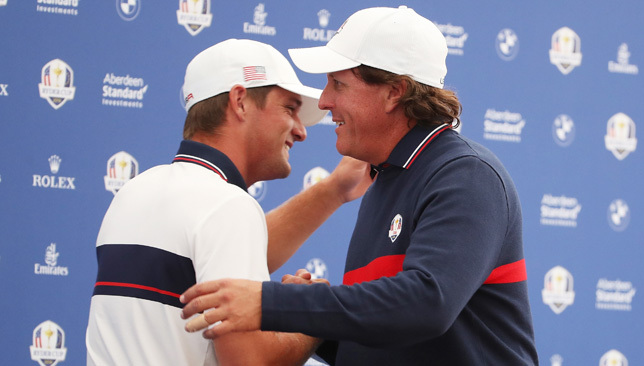 Guardiola gushed about his first-hand Ryder Cup experience as a fan at the 2012 edition in Medinah, when Europe pulled off a remarkable final-day comeback to stun the Americans on their home patch. Fleetwood has made Team Europe, under the control of Thomas Bjorn. The Spaniard, then on a 12-month sabbatical after leaving his post at Barcelona, was invited to the tournament as a guest of European captain Jose Maria Olazabal. 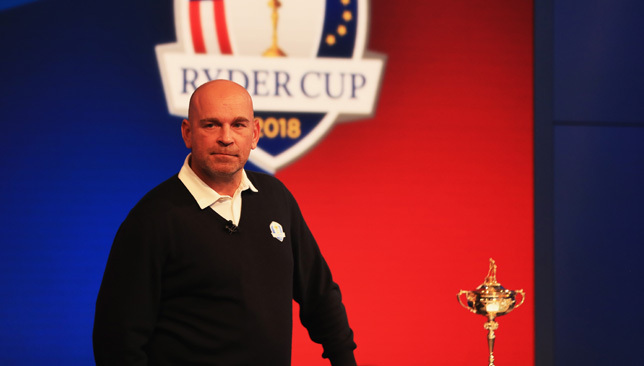 “He was at the Ryder Cup in Medinah, and he’ll always mention that that’s one of the greatest times he’s had in his life being at that Ryder Cup,” said Fleetwood. “Yeah, it was a very special time. It has a special place in his heart, the Ryder Cup, and he’s been very supportive through the whole thing. City are due to host Brighton in the Premier League on Saturday, not ruling out the possibility of Guardiola making an appearance for Sunday’s singles.